Kinsey got the sweetest letter in the mail (it isn't everyday she gets letters just for her!) Just look at that happy face! What was in the letter you ask? 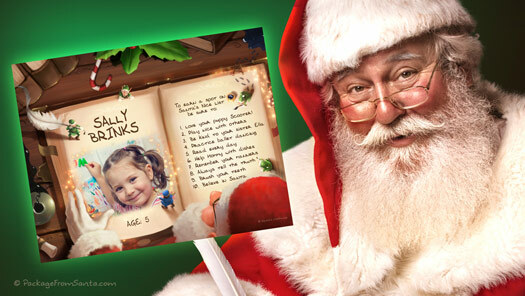 A personalized message straight from Santa himself! Guys, I can’t say enough good things about Package from Santa! The whole process was easy; from selecting the letter format I wanted (I went with the Christian theme but there were six others to choose from) to filling in the personal details (I will note any company that includes the eye color as specific as “green-blue” will always be dear to my and Kinsey’s heart! Now that is attention to detail!) Nothing was left out and the quality is amazing. I’m saving the call from Santa for Christmas Eve but Kinsey viewed her personalized video from the jolly Elf. She was so quiet while she watched and when it ended she announced, “Well, I'm not surprised he knows my name, he’s Santa.” Can’t argue with that! I was amazed by the editing, it was flawless. 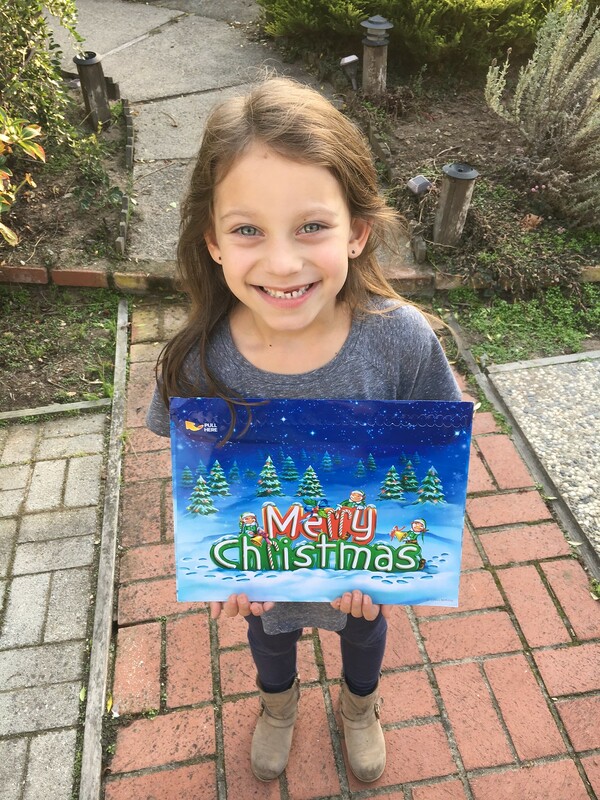 Do yourself and your child/ren a favor and get Package from Santa! You still have three more days to order to get it in time for Christmas! Order at Package from Santa and save 25% OFF your order when you use FAMS17 at checkout.